ANNOUNCED: Fujifilm X-H1 Coming Soon! Special introductory savings for a limited time! 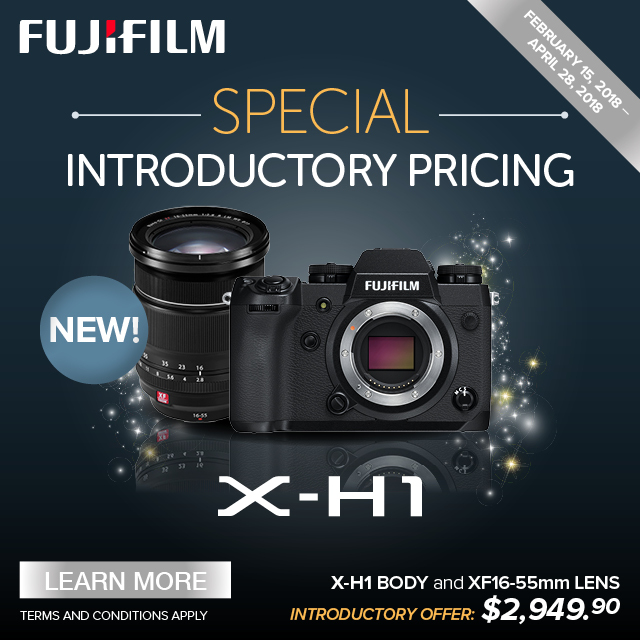 Call or email us to find out how you can pre-order your new Fujifilm X-H1 now!